​Jose Mourinho has finally lost patience with Paul Pogba, and is preparing to field bids for the France international this summer. The Manchester United manager has had a strained relationship with his club's record signing over the course of the season, and the ​Mail report that Mourinho has included Pogba on a list of players he wants to turf out this summer. ​The Telegraph meanwhile claim that the United board will give Mourinho carte blanche to get rid of whoever he wishes this summer. Most expensive signings in English football history: Pogba, Lukaku, Van Dijk, Di Maria, De Bruyne, Morata, Laporte, Sterling, Torres (to #cfc), Mendy, Walker, Stones, Lacazette. Not many huge successes among that lot. Why do people talk as if spending fortunes guarantees success? Utility full-backs Matteo Darmian and Daley Blind are also included on that list, as is Pogba's countryman Anthony Martial - with Tottenham linked with a move for the one-time Monaco prospect. Pogba produced a man of the match performance against Manchester City just a week ago to deny Pep Guardiola's side a chance to lift the Premier League trophy against their rivals, but was hauled off after less than an hour in an uninspiring performance against West Brom as United slid to defeat. Pogba put out of his misery. Atrocious performance. Played well for 30 minutes last week but doesn’t look comfortable at all in the side/position. Ongoing problem for Mou and #MUFC. 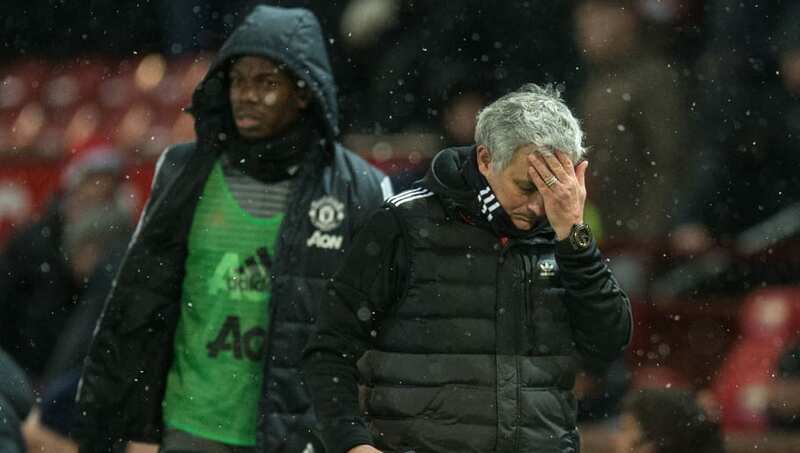 Mourinho hinted that Pogba and other stars could be dropped for the coming weekend's FA Cup semi-final at Wembley, saying after the West Brom game: "What is the criteria for a manager to choose a team? "I only know one criteria. It's the way they play. It's the only way I can select players. Or do you want me to go for the price they cost, or their salary, or their beautiful face? The only way is to go with performance. "If I play a player against Bournemouth and the player is phenomenal, he plays the semi-final. It's an opportunity for people to play and to try to get a place in the team for Spurs. Some of the guys that played today (against West Brom) don't have a place in that team."